We have two great activities to share with you on the site today, for the spring and the summer. 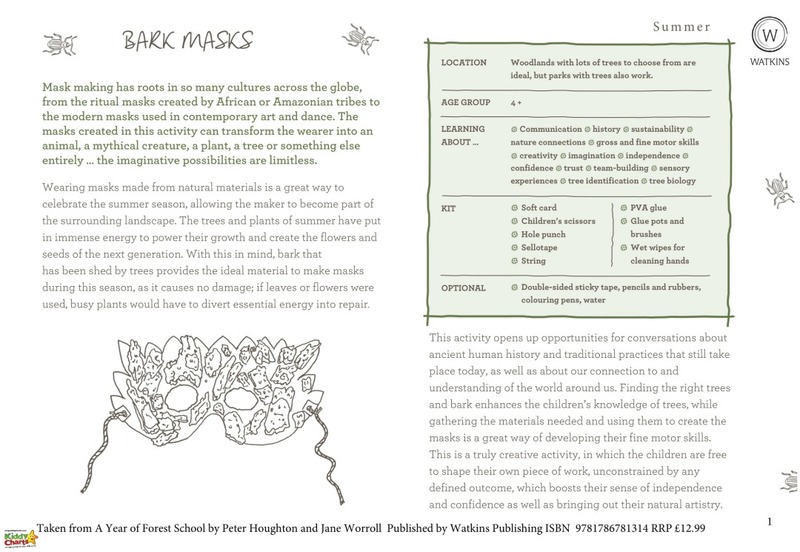 This printable activity encourages children (suitable for 4+) to explore different cultures and artistic ideas through the creation of some rather wonderful masks. Mask making is incredibly diverse; from Amazonian and African culture, to glittering, modern masked balls. If you would like both of these activities, all you need to do is click on the image below. Both of these activities are included within the new book A Year of Forest School which has loads of activities split across four chapters for educators and parents to explore with their kids throughout the year. 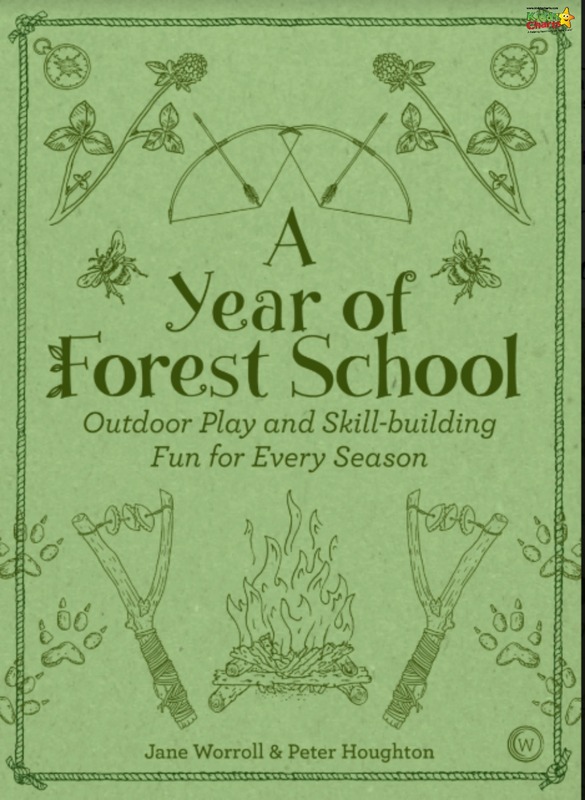 The book has been written by Jane Worroll & Peter Houghton; who have experience both as Countryside rangers and Forest School Playleaders respectively. This book is designed for those up to the age of 12, with all activities focused on how nature changes through the seasons, using the resources and themes available within those four times of the year; including activities suitable for Easter and Chirstmas. we have shown you two of the activities for Spring and Summer, but in the Autumn, you are encouraged to get children to make mobiles from leaves, and toast apples and nuts over a campfire. Each chapter also has an extended idea; perhaps you can turn these into birthday parties or just a very special nature day out. We do have a few other activities to help kids connect with nature on the site, so why not take a look at these too? 5 simple outdoor mindfulness activities from Pre-schoolers Inspirations. We hope you like these activities and this article, do sign up to our newsletter for more articles in your inbox each week, making sure to let us know when you sign up that you came via this article. Thanks so much for reading, and see you again next time!